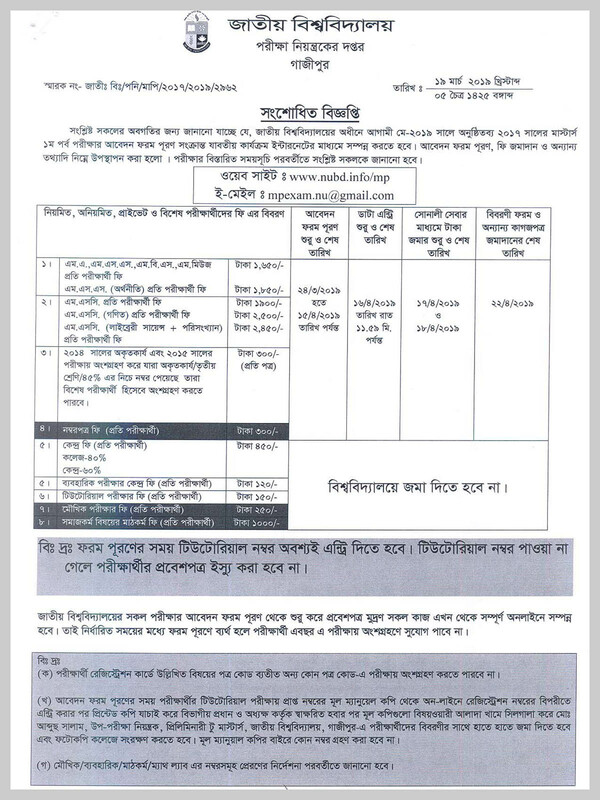 NU Masters Part 1 Form Fill Up Notice 2019. National University Masters 1st Year Exam Form Fill Up Notice 2017 of Academic session of 2013-14, 2014-15 & 2016-2017 has been published. NU Masters Part 1 Exam 2017 Form fill exam will be held the year 2019. NU Preli masters part 1 Form Fill Up Will be Start From 24 March 2019 and it Will be End on 15 April 2019. National University (NU) Masters Part 1 form fill-up notice under the session 2013-14 (irregular), 2014-15 (irregular), 2015 (improvement), 2016-17 (regular). You can easily download Masters Part 1 private, regular, irregular, improvement form by our website jobsgroup24.com & also official website nubd.info/mf. National University (NU) Candidates have to Fill The Masters Part 1 or Preli masters OR Preli masters private part 1 Form Fill Up Form Through Online. Candidates have to Input Registration Number to Complete The Form. And have to Submit The Form To Desire College Along With Details Papers. See Circular For Details. The detailed schedule of Master’s 1st Part examination can be found on my website. Possible candidates list for exam 2017 will be announced on National University (NU) website will also qualify to attend in National University (NU) Masters Part 1 Exam. 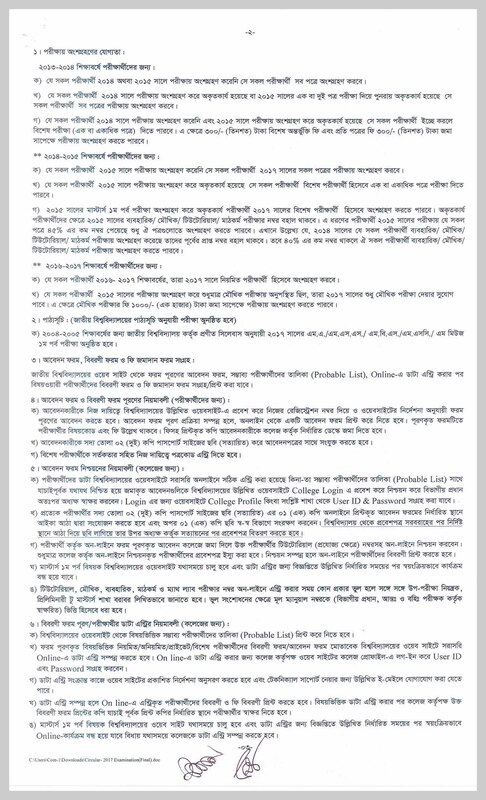 NU Masters Part 1 Exam routine 2017 held on the year 2019 will be available www.nu.ac.bd & also our website jobsgroup24.com. When NU Preli Masters form fill-up will end then NU authority publish their routine. So don’t worry. Stay with us when NU publish NU Masters part 1 routine 2017, we give this routine as JPG format and PDF format. National University, Bangladesh was established in 1992 under an act of Parliament of the Government of the people’s republic of Bangladesh with the facial appearance different from those of the traditional Universities of Bangladesh. We will provide all update information about NU Masters Part 1 Exam Routine 2017 & Form Fill-Up Notice in our website at Jobs Group 24.com and also know to visit our Facebook Page.